Description: Carte de visite of Clara Belle Ivancovich's bust in an oval frame. She has short curly bangs and the rest of her hair is pulled back. She is wearing a white ruffled collar, and crocheted bow. 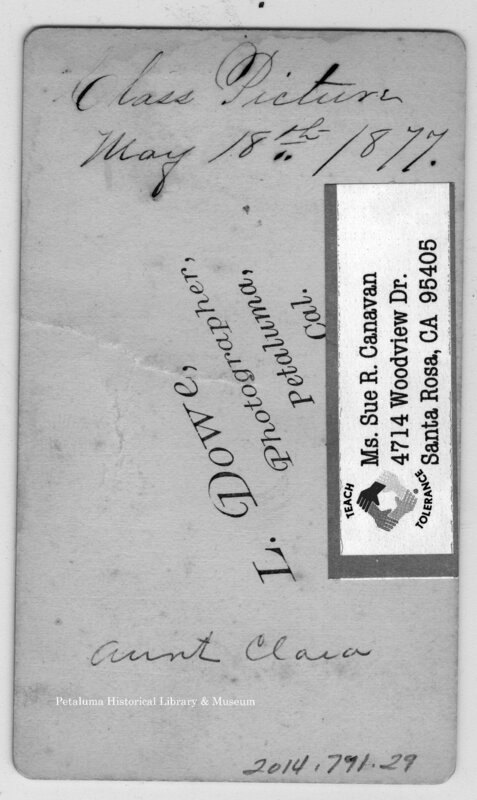 Description, Reverse: Class picture May 18th, 1877; L. Dowe, Photographer, Petaluma, Cal.